The Chinese model company Dragon continues to add subjects to its wide-ranging list of AFV kits. 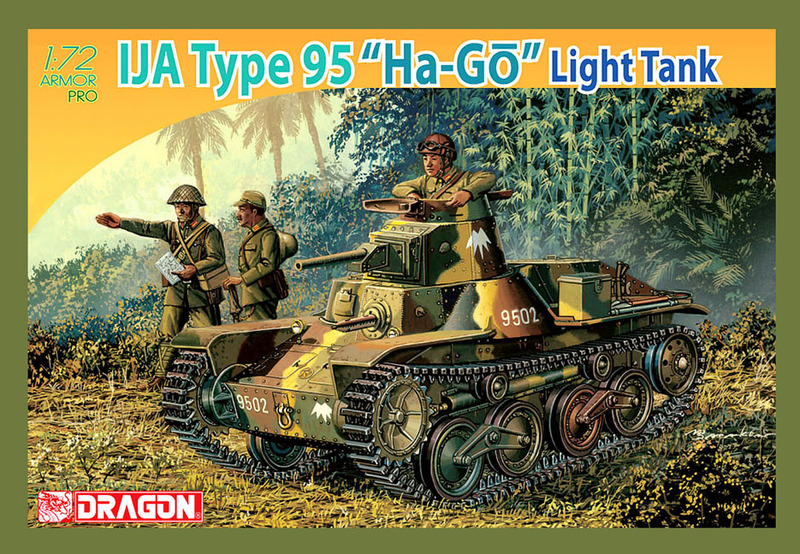 This time, it’s a ‘model aircraft’ 1:72 scale Type 95 Ha-Go light tank, as manufactured by Mitsubishi and used in the 1942 Philippines campaign. 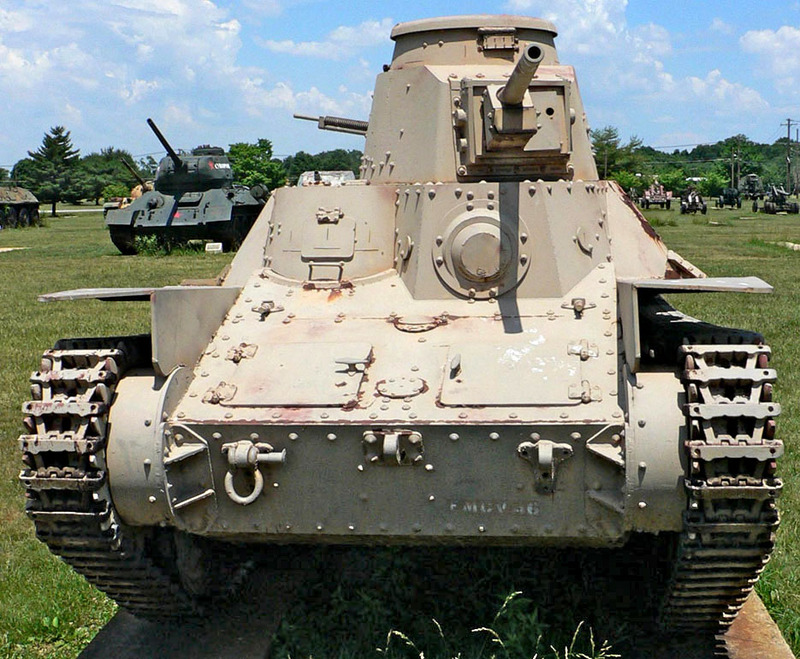 Type 95 tank, preserved at the US Army Ordnance Museum. The 4.38 m (14.4 ft) long Type 95 was the most common light tank used by the Imperial Japanese Army (IJA), with some 2300 manufactured in all, production starting in 1935. It had been designed as support for advancing infantry, and although lightly armoured, Japanese commanders reckoned its speed - up to 45 km/h (28 mph) on a decent surface - and design flexibility made up for this. 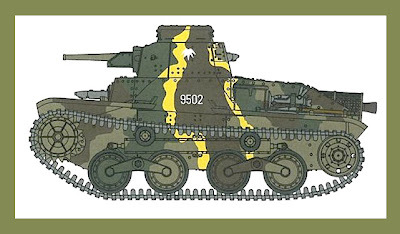 The Type 95 weighed just 7.4 tonnes, had a crew of three, with a 37mm main gun. Dragon cgi images show neat detailing for production kits. 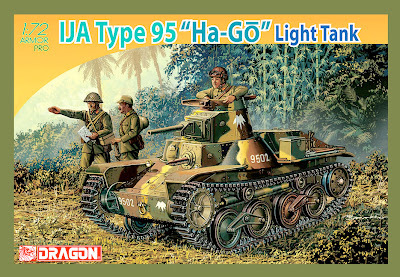 AFVs at 1:72 scale are tiny jewels indeed, and the Dragon Type 95 is no exception. However, that’s no bad thing, as the model is packed with fine detail, with special moulding techniques being used to produce various components. 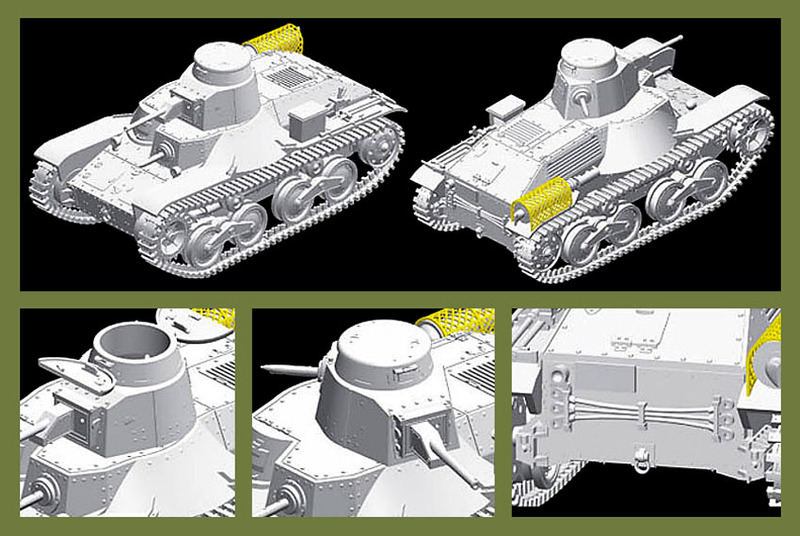 These include the turret and cupola which are single-piece units, with slide-moulding enabling detail elements to be correctly rendered. 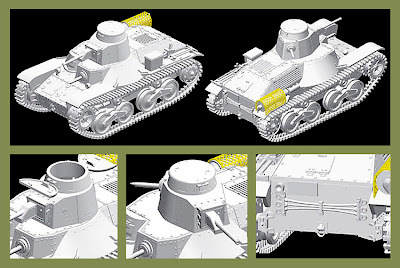 The upper and lower hull sections are also one-piece components, featuring armour panels, bolts, and other details. A neat thought from the Dragon engineers is the gun barrel, which has a hollow muzzle - which means no more twirling a scalpel blade to add a touch of realism! Dragon claims high realism for the track and suspension, too. 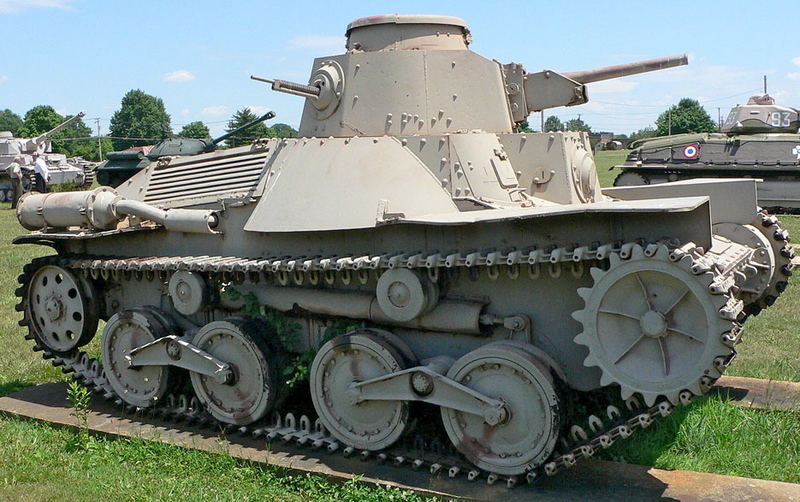 The Dragon Type 95 is due shortly; meantime other Dragon AFVs are here. Pictures of the preserved Type 95 courtesy Mark Pellegrini, taken at the US Army Ordnance Museum, Aberdeen Proving Ground, Maryland.